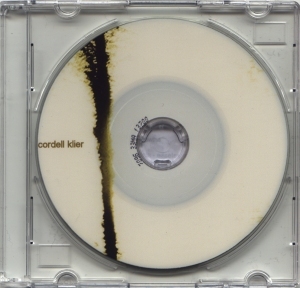 hyper-active & multi-talented american musician, cordell klier has delivered an impressive body of work in various genres (glitch, click'n'cut, dark ambient, dark industrial, noise, minimal ambient, the list is endless!...) for various international labels (ad noiseam, mystery sea, afe records, gears of sand, and his own doctsect imprint), his latest cd being the dark-ambient collaboration with nordvargr & drakh out on old europa cafe. "phono 4" shows another side of his talent, here cordell offers a very minimal lowercase/microsound piece, fascinating work full of silence & field recordings... headphones highly recommended!! !